What is the penalty for driving with no insurance in Connecticut? What is the penalty for driving without insurance in Connecticut? Connecticut is rich in history, and that’s one of the reasons why it’s known as the Constitution State. As home to history’s very first written constitution of American colonies, dating back to 1639, the state has played a major part in setting up a unified government complete with laws and statutes. While the Declaration of Independence and the Constitution are two historical documents that apply to everyone, there are other laws enacted in a state that pertain solely to state residents. This is especially true when talking about auto insurance because it has been regulated by state legislatures after the McCarran-Ferguson Act was adopted in 1945. All vehicle owners must comply with mandatory auto insurance laws as they are written in Connecticut. If you own a car and you have license plates that were issued by the Connecticut Department of Motor Vehicles, you can be fined if you don’t maintain mandatory coverage. Check out this data sheet with state-specific penalties. Letting your coverage cancel at any time while your plates are valid can cause turmoil. It’s best to pay your premiums all at once to keep coverage active for the entire term. 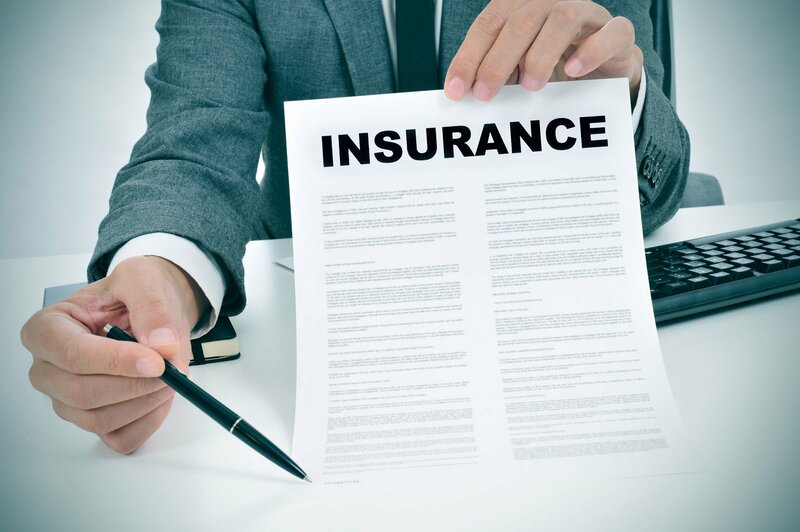 What proof of insurance is accepted in Connecticut? State law says that you must maintain at least liability and uninsured motorist coverage while you’re living in the state. If you choose to purchase a private passenger vehicle that must be registered to be driven on public roads, there’s no avoiding the compulsory insurance law in the Nutmeg State. You could drive your car one day a month or every day of the year, the minimum auto insurance requirements remain the same. Liability coverage is required to protect the public. Since Connecticut operates under tort law, where anyone who is responsible for harming another must pay for the damages, you’re required to maintain third-party coverage. You can be cited for driving without insurance in The Constitution State, but you can also be cited for failing to carry proof that you’re actually insured. Your auto insurance ID card must be carried in your vehicle at all times. Failing to comply with the law under section 38a-364 can result in a fine of $117. You are required to carry a Connecticut Vehicle Insurance Card that meets the state’s strict requirements. Traditionally, you must have a physical card in the car. You may also provide proof of coverage digitally if you don’t have the paper card. You must carry liability insurance as soon as you buy a car in Connecticut. This coverage will pay for damages to property owned by others and medical treatment to others. It does not pay to help you recover from at-fault accidents. Carrying your auto insurance ID card might be required in Connecticut, but at the end of the day, the Connecticut Department of Motor Vehicles can see if you have coverage. There are mandatory reporting laws in place that say that all insurers licensed by the Connecticut Division of Insurance must report records of uninsured drivers to the state immediately. If you let your insurance lapse and you have Connecticut plates you’ll face the penalties that you see above. Being uninsured is expensive. If you want to save money and get coverage in the process, use an online rate comparison tool. You can compare premiums from 4 to 6 different companies and get the best deal in the process. Save time and save money and use the Internet to your advantage. Find FREE car insurance quotes in your area today!